One thing I like to get at Jamba Juice, on the rare occasion that I go, is the Chunky Strawberry Topper. I was craving it over the weekend and I decided to make one up for breakfast. 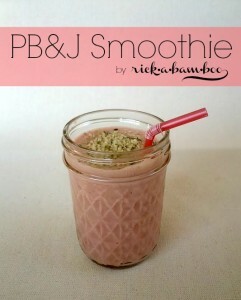 I call it a PB&J smoothie, because mine isn’t so chunky. Add all the ingredients to your blender in the order listed. I added coconut sugar to mine since my strawberries are pretty tart. Blend it all up, pour into a glass, and enjoy. Lactose free? Substitute the water and greek yogurt for 3/4 cup of your favorite lactose free milk. I topped mine with hemp hearts. Get some Omega 3s in for breakfast. 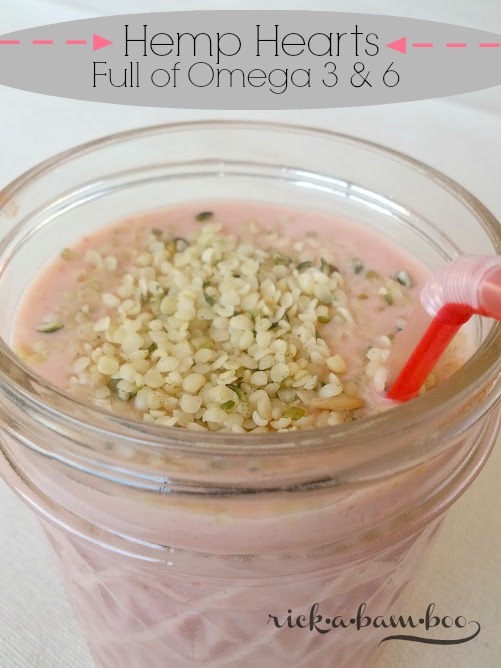 Did you know that 3 tablespoons of hemp hearts, also known as hemp seeds, contains more Omega 3s than any fish? They taste similar to sunflower seeds and add a nutty flavor to your recipes. You can add these little babies to smoothies, yogurt, salads, cookies, oatmeal, etc. You name it, you can add them. I bought mine at Harmon’s grocery store. 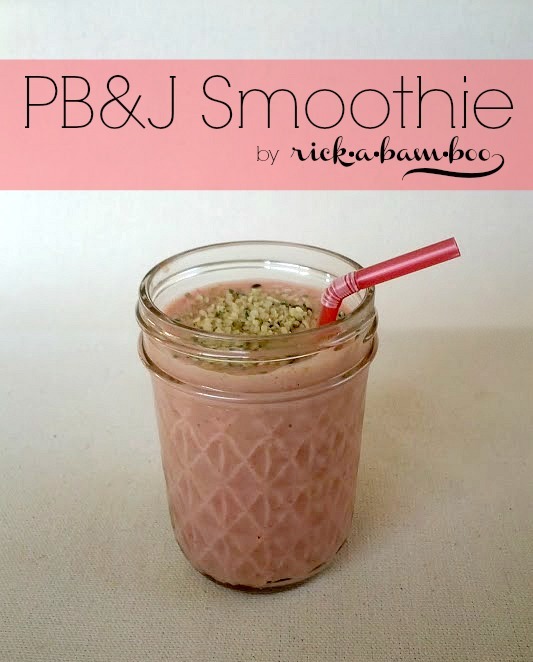 Be sure to stop by my simple clean recipes page to find more recipes like this one. Yummy! This looks fantastic. I’ve never heard of coconut sugar before — where would I find that? I bought mine at Trader Joes $5 for a 1 lb bag, but I have also see it at Harmon’s for only $0.50 more. I bought mine at Trader Joe’s for $5 for a 1 lb bag. I have also seen it at Harmon’s for $0.50 more. It’s really good and has a caramel flavor.